LibAnswers is your multi-channel communication platform, helping you boost interactions with users via Twitter, Email, SMS, Facebook, searchable FAQs, and LibChat. LibChat, a component of LibAnswers, empowers you to create proactive chat widgets that are customizable and embeddedable across your many web sites. 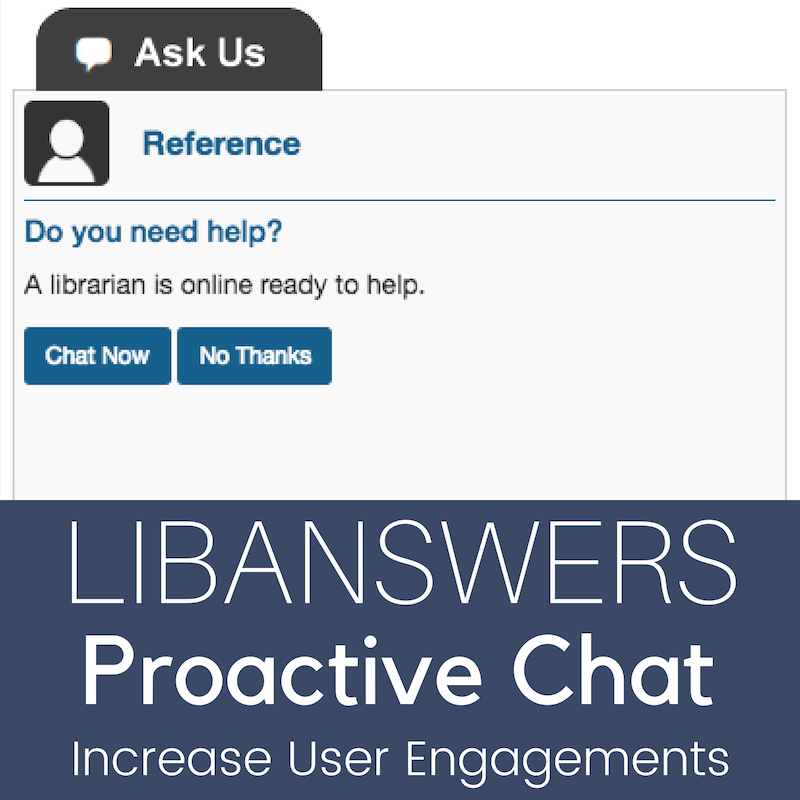 Embed a proactive Libchat widget that engages users within 45 seconds on your library homepage and a different proactive Libchat widget that displays after 2 minutes inside your discovery layer. There's no limit to the number or types of chat widgets you can create. All chats, no matter where they originate from, come into one operator console for easy answering. "A comparison of chats answered September 2017 through April 2018 with the same period for 2016 through 2017 revealed a nearly 600% increase. This large statistical increase in chat requests led me to conclude that the previous widget was not being noticed by many users." Brief LibAnswers Tour - Join us for a quick tour of LibAnswers, including all the many components that are at your disposal, from searchable FAQs, a robust ticketing system, social media management, to the systems & services management tool. Tour of the LibChat Operator Console - Explore how chats come into the operator console and experience a live demo. LibChat Proactive Chat Examples - We'll explore 2 - 3 examples of different proactive LibChats engaged at real institutions! Note: This webinar is not an in-depth training session. For help, please consult our help documentation and/or contact our support team.